Colombia’s energy and mining minister Federico Renjifo, who assumed the position on Thursday, said he is aware he’ll face difficult times as analysts are predicting a slowdown in demand for the country’s commodities in coming years, but he said he’ll make sure the sector remains competitive and attractive to foreign investors. In a Sunday interview with Caracol Radio the minister —a close ally of President Juan Manuel Santos— said one of his first tasks will be to review the debated renewal of BHP’s Cerro Matoso nickel mine concession, the fourth largest in the world. The most controversial point of the contract signed by BHP and previous authorities is a clause that allows the Anglo-Australian miner to automatically renew the permit until 2029. 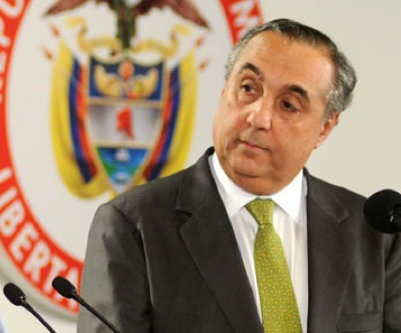 Colombia, through the former mines and energy minister and new finance minister, Mauricio Cardenas, has called for an increase in the royalties paid by BHP for this particular operation, more social and environmental programs and increased investment to boost nickel production. According to El Heraldo, BHP is offering $ 1.5 million a year, which doesn’t seem enough to some radicals, who are calling Colombian authorities to revoke the contract and call for new international parties to run the mine. It's not only the mining industry the one Renjifo will need to ensure having a good run for its money. Colombia's state-controlled Ecopetrol has been one of the main drivers of the South American nation’s growth. With production rising 16% per year since 2008, the company has become one of the best performing energy players in Latin America, with oil extraction costs about 40% cheaper than the industry norm. “This is a ministry that’s moving in the right direction, where there are some important decisions to be made and policies that need to be implemented,” Santos said after appointing Renjifo, who has also served on Ecopetrol’s board. According to local media it seems that Ecopetrol, and not Cerro Matoso, will be the first place Renjifo might need to do some firefighting, as the company’s president, Javier Gutiérrez, and his deputy, Pedro Alfonso Rosales, are being investigated for embezzlement. Once tinted by drug cartels and civil war, Colombia is now one of Latin America’s fastest growing markets and, according to the World Bank, the most secure country in the region in which to do business. In the past year, investors, mining companies and explorers alike have been focusing on the South American country and reasons for this abound. Colombia’s economy, which is Latin America’s fifth largest, has grown four times as rapidly as Canada’s in recent years, with foreign investment quadrupling between 2002 and 2008.